Can you be a freelance writer without any experience? First, and most importantly, YES! How many times have you asked yourself this very question? 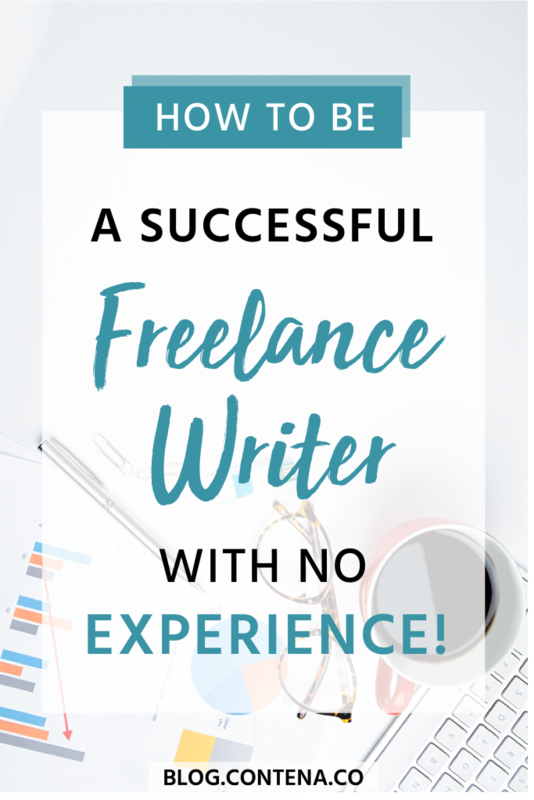 Every freelance writer has started with no experience. There are so many things I’d like to dive into to help you get started, but I am going to start at the very beginning. Before we jump right into things, I need to tell you something. The first, most important gift to give yourself while working towards becoming a freelance writer is time. Becoming a freelance writer takes patience. You must invest in yourself. You can become a freelancer with no experience as long as you are putting energy towards that goal. You can’t wish a lucrative writing career into existence. However, you can get started right now by setting aside one or two hours a day. Create a schedule before you do anything else. Make this schedule with the sole purpose of carving out you time. When you allow yourself time to invest in goals and aspirations, it isn’t time wasted. It will pay off. If you’re still using the same email address that you had 20 years ago, it’s probably time for an update. Giving your email address to potential clients is like inviting them into your office. It would be best if you had a professional “appearance” when sending out your resume or pitches. Many editors or potential clients will, unfortunately, skip right over someone using an antiquated email address. In an era when businesses are sharing Google Docs and using Google Drive or Google analytics on a regular basis, clients expect their associates to be able to jump right in. A potential client will have automatic assumptions about whether or not you understand current technology trends just by seeing the email address you use. Therefore, a Gmail address is considered perfectly acceptable and usually preferred, in professional settings. It takes only a few seconds to create a Gmail account, plus you can still use your old email address for personal emails. It’s always nice to keep work and personal emails separate anyway. Time to get down to the fun stuff. If you have no experience, the fear is that no one will hire you. However, you know you need experience so someone will hire you. Classic double-edged sword. This is exactly how I started. I had nothing in my writing portfolio to show potential clients that I was a good writer. Tell everyone. I told everyone I knew that I was attempting to become a full-time freelance writer. I spread the word on social media and asked my friends and family to share my information. Barter. I was offering my services for free in exchange for testimonials and bylines. It worked! Friends of friends sent me messages saying they needed a small newspaper article written, or a cover letter revised. It was a mish-mash of content and copywriting, but it got me in the door. Barely, but I was there. Okay, listen. I’m going to be honest with you. I had been good at my 9-5 job writing company-wide announcements and newsletters, but this was a whole new ballgame. The first bit of content I was asked to write was a bio for a surgeon for a hospital’s newsletter. After agonizing for days, I bombed it. I sent the doctor my final copy, and he responded with, “This isn’t really what I wanted.” Then he ghosted me. I am sharing my failures with you because these failures were necessary for growth. I learned through every client that told me, “Nevermind, thanks anyway.” I had to learn to find the right clients, then ask the right questions (that’s an entirely separate blog post! ), and adjust my expectations. Crashing and burning is what has made me the writer I am today. I made a lot of mistakes, but I never stopped trying. None of my first gigs were bylined. Most of the content or copywriting I tried my hand at had failed. Testimonials (which I later published on my website). Samples of my work, even (or especially) if the work wasn’t what the client wanted. If you don’t have any bylines yet, that’s okay! Many clients are more than willing to work with you if they can see writing samples. You can begin by putting together sample content for made-up companies. If you check out the Contena Academy, you’ll find a list of websites where you can publish your work if you don’t have your own website. Even if you weren’t paid to write something, it’s still considered a bylined piece. One more thing I did, which was very important was to start a blog. 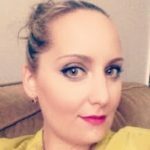 I chose to focus on my freelance writing journey with each post. I wanted to help other beginners. Many clients have found me via my blog, and I’ve gotten lots of jobs that way. If you have no samples and no byline, starting your own blog is a great way to remedy that. Keep it professional and be consistent. You’ve carved out time to reach your freelance writing goals, so now it’s time to network with other freelance writers on websites and public forums. Seek out freelance writing groups on social media and pick their brains. Ask them how they got their start. You’ll find most of them love to help and share information. Most importantly, heed their advice! Not all tips work for all writers, but an experienced freelance writer became that way by doing things wrong and then correcting themselves. How you present yourself online and on social media is how potential clients will see you. You are your brand. You can, however, maintain a barrier between personal and professional online personas. Make sure your social media accounts are private. Remember that potential clients and employers will see anything that is public. What kind of work can a freelance writer do? Almost anything! There are virtually no limits to the type of work you can get as a freelance writer. Decide if you want to write content, go the journalism route, or maybe you want to take your big ideas and pitch them to magazines. Once you have that figured out, WRITE! Write every day and create a habit. The more you write, the better you get. I always tell new writers that passion and talent cannot do what practice can do. Look into paid internships to gain experience and to beef up your resume. Make sure that you are consistently applying to jobs. Even if you don’t think you are qualified, apply anyway. (If I only applied to jobs that I felt qualified for, I would never have gotten any bylines.) If nothing else, you may get some feedback that could help you in the future. Don’t depend on the work to come to you. Even if you set up an excellent website, and put a call out on social media, clients aren’t going to be filling your inbox with requests. Take initiative, network, and get that resume out to as many editors/publications/potential clients as possible. This is a fundamental outline for someone with no experience who wants to be a freelance writer. Remember that every writer takes their own path to find their first clients before moving on to greater success. Never compare your journey to anyone else’s. It’s what makes you unique from all other freelance writers. So, get going. Create a schedule and start writing today. There are plenty of businesses who are more than willing to work with a new writer. Having no experience can even be a positive thing. When companies are being created, they look for people who can grow with them. Once you get your foot in the door, a multitude of new opportunities will open up. Be persistent, be consistent, and be patient. If you do those three things, you will get your first client sooner rather than later!